Poland's Prime Minister Beata Szydlo has pledged to take into consideration Lithuania's objections before the government decides on illustration of Polish passports with images of the Vilnius Gate of Dawn. The Vilnius Gate of Dawn has been submitted to voting for preparation of new passports for the 2018 celebration of a 100-year anniversary of Poland's restored independence. 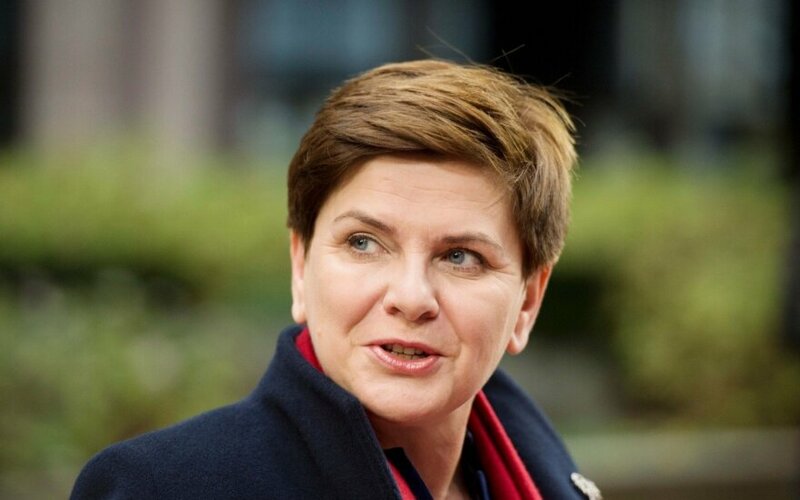 Szydlo emphasized that the Gate of Dawn was one of the dozen proposals, with the choice yet to be made. "Poland is celebrating 100 years since the restoration of its independence in 2018. A competition has been called for the new design of passports, and one of the proposals was the Gate of Dawn, however, the final decision has not yet been made. We will try to make the decision that would best serve the relations with Lithuania," the Polish prime minister said at a joint news conference in Warsaw with Lithuania's Prime Minister Saulius Skvernelis. In protest of the initiative of using the Vilnius image, Lithuania had summoned the Polish ambassador. Diplomats say the issue was not discussed as a separate matter at the meeting between the two prime ministers. Szydlo emphasized "Poland wanted very strong relations with its neighbors, the Baltic states of Lithuania, Latvia and Estonia." "This is one of the most important priorities, especially now when we are faced with so many challenges and have to ensure regional security. We will make every effort to ensure the security," said the head of the Polish government. Skvernelis said that the bilateral meeting also addressed the issue of national minorities. The Polish prime minister inquired about some Polish-language schools in Vilnius, while the Lithuanian prime minister expressed hope that Poland would take better care of the Lithuanian education situation in the Sejny and Punsk regions with large Lithuanian communities.